We are amongst the most reputed names in the industry, offering Discharge Supervision Services. We are a top-notch organization, engaged in providing Discharge Supervision Services. We are a top notch organisation offering Discharge Supervision Services. - Cargo sampling from ship / shore tanks / pipelines. We are engaged in offering Discharge Supervision Services. Often the sides participating during transportation, are interested in the constant control above cargo operations to prevent possible losses because of inaccurate work of dockers, plunders or wrong stacking and fastening of a cargo. 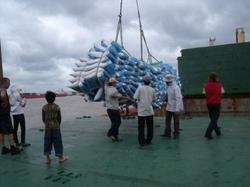 We are engaged in offering Loading And Discharging Supervision.